British astronaut Tim Peake’s time in space inspired primary pupils to engage more in STEM (science, technology, engineering and mathematics) – and continues to do so, according to researchers. The Tim Peake Primary Project (TPPP), which ran in 1,400 UK primary schools, used Peake’s Principia mission to the International Space Station (ISS) to promote space as a cross-curricular context for teaching science, literacy and numeracy. 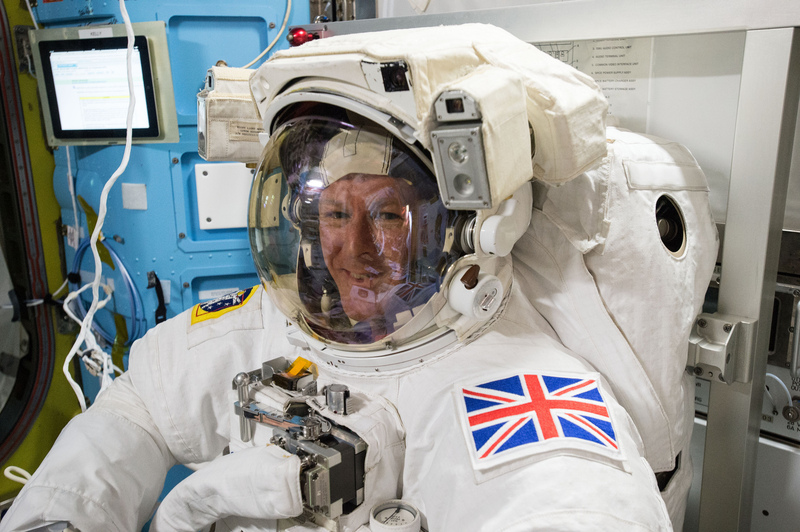 Major Tim Peake became the first British European Space Agency astronaut to visit the ISS when he spent six-months in orbit 2016, receiving wide domestic coverage in the media and beyond. Teachers were supplied with themed lesson resources and classroom materials tailored towards the primary school curriculum as well as the support of specially trained Space Ambassadors to facilitate space-related activities in schools and provide Continuing Professional Development for teachers. Dr Su Corcoran and Dr Sarah McNicol, Research Associates from Manchester Metropolitan University’s Education and Social Research Institute, conducted surveys and interviews across 150 of the participating schools across the UK to evaluate and examine the impact the two-year project had on both pupils and teachers. The detailed report, published today by STEM Learning on the three year anniversary of Tim Peake’s launch to the ISS (December 15), shows that using space as a context for teaching and learning directly increased pupils’ enjoyment and engagement in science, numeracy and literacy; increased pupil attainment in science; and increased teachers’ confidence in teaching space-related topics. Dr Corcoran said: “We found the project had a significant impact on pupils, teachers, schools and Space Ambassadors involved with the project as well as the wider community. “As a trained physics teacher, I know how the topic of space captures the imagination of children. Tim Peake offered schools a unique opportunity - as the first British astronaut on the ISS, the media coverage of his mission, experiences and return was extensive and widely accessible, even to primary pupils. Researchers found that the enthusiasm shown by pupils was contagious. For teachers, the project increased their confidence and motivation for science teaching. They were able to adapt schemes of work, in science and other subjects, to incorporate resources from the TPPP and their own bespoke resources, as well as adapting their teaching practice. The Tim Peake Primary Project was delivered by the European Space Education Resource Office in the UK (ESERO-UK) and funded by the UK Space Agency, the Department for Education, and the European Space Agency. The report published by STEM Learning can be found here.